Find out more about the Antonine Wall and the Frontiers of the Roman Empire during Big Roman Week. Across Falkirk district (and beyond) from September 16-24, 2017 AD. Some events – but not all – are free of charge. Check if you need to book a place (or get tickets in advance). See individual listings for details. Please note that listings may be subject to late change. If travelling from a distance, check with the venue before the event. Check out the special Roman Frontiers at Callendar House, Falkirk, until the end of October. SATURDAY, SEPTEMBER 16 – TALK: ROMANS IN SCOTLAND. Big Roman Week’s Edinburgh event! The Romans were only in Scotland for a few decades, but in that time, they left several impressive structures from forts and marching camps to the Antonine Wall. But did they have a greater impact on Scotland? Have they helped shape it into the nation it is today? This morning lecture will explore Roman Scotland and what archaeology has told us about their brief part of Scotland’s history. This lecture is provided by Archaeology Scotland, a charity that is working to inspire communities, amateurs and professionals to discover, explore and enjoy Scotland’s past. Tickets cost £9 per person, including coffee and cakes. From 10.30 a.m. At Lauriston Castle, 2a Cramond Road South, Davidson’s Mains, Edinburgh, EH4 5QD. Pre-booking and advance payment is essential for this event. To secure your place you can book in a number of ways . . . Online: Go to the Usher Hall website and enter Lauriston Castle in the search box. By phone – 0131 228 1155 (Opening hours: Monday – Saturday 10am-5.30pm). In person – Box Office, Usher Hall, Lothian Road, EH1 2EA (Opening hours: Monday – Saturday 10am-5.30pm). SUNDAY, SEPTEMBER 17 – THE ANTONINE WALL COMMUNITY CONFERENCE. Community representatives join Roman experts for a conference about the World Heritage Site. At Hippodrome Cinema, Hope Street, Bo’ness, EH51 0AA. The conference begins at 10.30 a.m. and ends at 1 p.m. sharp. Doors open at 10 a.m. The café pod will be open to sell food and drinks. The conference is free to attend, but tickets must be booked in advance. See full conference details and book free tickets on Eventbrite. 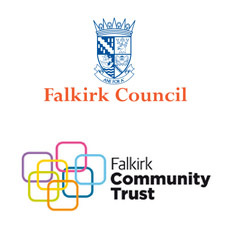 Organised by The Friends of Kinneil in association with Falkirk Council and Falkirk Community Trust. Dr Rebecca Jones, Head of Archaeology and World Heritage at Historic Environment Scotland. Chris O’Connell, Heritage Manager at Scottish Canals. Online booking here. Problems? Call 01506 823714. TUESDAY, SEPTEMBER 19 – THE EMPEROR’S BIRTHDAY! TUESDAY, SEPTEMBER 19 – WALK THE WALL: MUMRILLS ROMAN FORT SITE. Historian Geoff Bailey will lead a walk along the Helix paths network from Falkirk Stadium to Mumrills, on the outskirts of Laurieston. This was the site of the largest fort on the Antonine Wall. Excavations have revealed that there were actually two separate forts on the site, with the later fort using the earlier fort as an annexe. Free walk in association with Step Forth. No need to book, just turn up. Leaves car park at Falkirk Stadium, 4 Stadium Way, Falkirk FK2 9EE, at 7 p.m. Organised by The Friends of Kinneil in association with Falkirk Community Trust/Step Forth. THURSDAY, SEPTEMBER 21 – EVENT – ITALIAN NIGHT. At Corbie Inn, Corbiehall, Bo’ness. 7 p.m. for 7.30 p.m. start. Tickets priced £17.50 for a three-course Italian meal. Book via the venue. See menu and more information here. SATURDAY, SEPTEMBER 23 – ROMAN COOKERY AT KINNEIL. Roman cookery expert John Crouch – seen on Robson Green’s Tales from Northumberland on ITV – cooks up some Roman food for visitors. From 1 p.m. to 4 p.m. at Kinneil Museum, Kinneil Estate, Bo’ness, EH51 0PR. Free. SUNDAY, SEPTEMBER 24 – FAMILY EVENT – WALK THE WALL: MEET THE ROMANS AT ROUGH CASTLE. Falkirk Council’s Ranger Service will lead this walk through Rough Castle Community Woodland from the Falkirk Wheel. The route takes in the Rough Castle Roman Fort, part of The Frontiers of the Roman Empire (Antonine Wall) World Heritage Site. This is an easy walk of around 1.5m (2.4km). Wear stout footwear and dress for our Scottish weather. The event will run from 10 a.m. to noon. Meet at the Falkirk Wheel (entrance to Visitor Information Centre). Booking is essential. The cost is £3 for adults and £2 for children. Call 01324 504950 or email: rangers@falkirk.gov.uk to book a place. SUNDAY, SEPTEMBER 24 – WALK THE WALL: CROY HILL/BAR HILL – Big Roman Week moves into North Lanarkshire for a free walk to two impressive sites, led by historian Geoff Bailey. Croy Hill was once home to a fort and fortlet. Today it boasts modern interpretation and stunning views over the “Caledonian” territory to the North. At nearby Bar Hill, there are the remains of a headquarters building (Principia) and bath-house. The walk – covering around seven miles in total – will leave Auchinstarry Marina car park, by Kilsyth at 2 p.m., returning by the flat canal path. There’s no need to book, just turn up – although children must be accompanied by an adult. The round trip between both sites will take several hours; however, participants can leave the walk after Croy Hill, returning to Auchinstarry for a shorter trek. Please note that distances for walks are approximate.